In this guide, we will be taking a look at the conference call on Samsung Galaxy Note 9 and how you can make use of it. 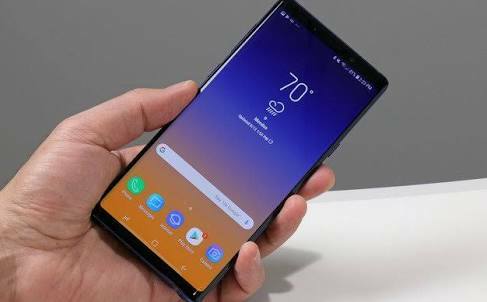 The Samsung Galaxy Note 9 that was released not long ago is a beast when it comes to Smartphones. It’s packing the top of line Snapdragon 845 or Exynos 9810 processor depending on which variant you get. That is paired with two memory options of 8GB Of RAM and 512GB of internal Storage or a smaller 6GB Of RAM and 128GB of internal storage. The 4000mAh battery on the device is enough to keep the lights on the 6.4-inch super AMOLED screen turned on for a whole day. It’s definitely packing everything you would need in a 2018 flagship device. Now, Asides from the capable hardware, the software and the little features on the inside also makes the device even better. One of which called the conference call, which we will be looking into in this guide. The conference call on Samsung Note 9 allows you to call Different people and speak to them all at the same time like you are in a conference hall. Little wonder why the feature is tagged “conference call”. Let’s say you are far apart from your work colleagues but still need to discuss work-related stuff or you are far apart from family but still want to have some family time/talk, you can simply use the conference call on Samsung Galaxy Note 9 to achieve that. With this feature, it is just as if you are in the same room with the other people on a call. The best part about this feature is the fact that you don’t have to install a third-party app or have need to have root access to use it. All you have to do is just follow the outlined steps below. – Tap on the Phone/Dialer App Icon, Usually Located at the bottom left corner of the home screen. If it isn’t there, pull up the apps drawer and look for it there. – Now you either input the number of the first person you would like a conference call with or search through your contacts app for the person. Once you input the number or locate the contact, dial his/her number. – Once the caller is connected, tap on add call and input a new number or Select a number from your contacts. – Once the second call is also Connected, Tap on the merge Icon on the right to conference the calls. That’s pretty much how to make the conference call on Samsung Galaxy Note 9. If you would like to add another person/number to the conference call, all you have to do is just repeat the above steps by tapping on add call, choose a contact or input a phone number and merge it. Conference call on the Samsung Galaxy Note 9 is a useful Feature if you’re always on the road but still want to keep in touch with family, friends or work buddies. If you’re finding it difficult settings yours up or making use of it, be sure to leave us a comment down below in the comment section.